When I told friends that I was going to spend a night in Cleveland, they laughed and wished me luck. Some even said that they hoped the Rock and Roll Hall of Fame and Museum had a good cafeteria, as I wouldn’t find food elsewhere. That, try as I might, “I can’t get no satisfaction” in Cleveland. Well, I tried, and I tried, and I tried, and I tried…and I did find good food, enabling me to enthusiastically endorse a food shopping emporium, as well as a great place for each of breakfast, lunch, and dinner meals. Plus a fun visit to the museum to top things off. 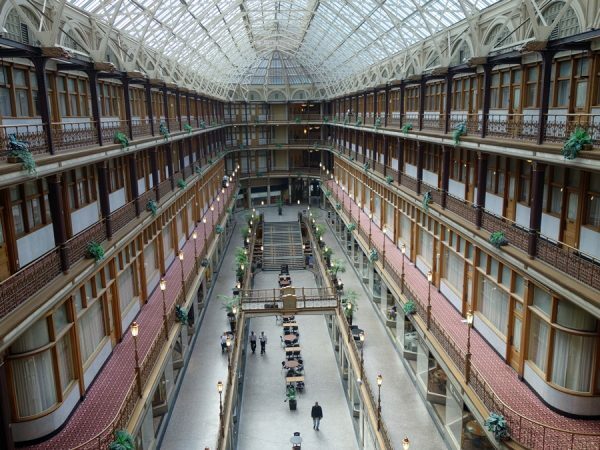 With the Hyatt Regency Cleveland at The Arcade as my base, I was in walking distance of the museum and the recreational activity of the Gateway District, particular the restaurants on East 4th Avenue, just across from the hotel. 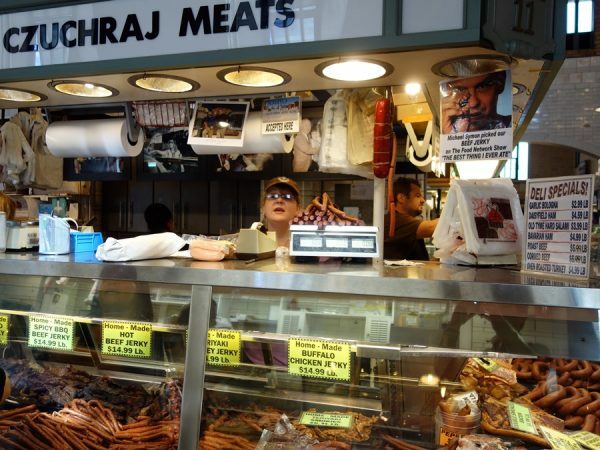 So, need an eating itinerary that rocks in Cleveland? 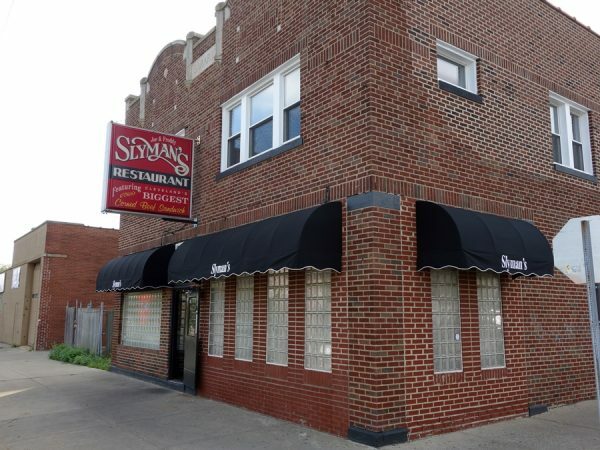 Start with a startling breakfast sandwich at Slyman’s. 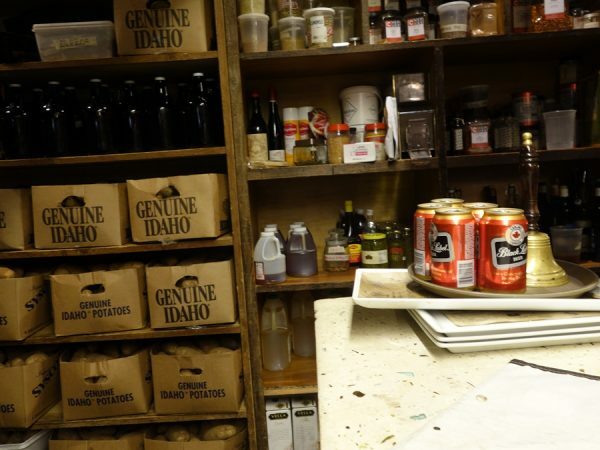 It will satisfy any corned beef craving. Then, assuming you’re in Cleveland the right day (Monday, Wednesday, Friday, or Saturday), head to the West Side Market to take in this historic marketplace full of butchers, produce sellers, dairy product vendors, and more. 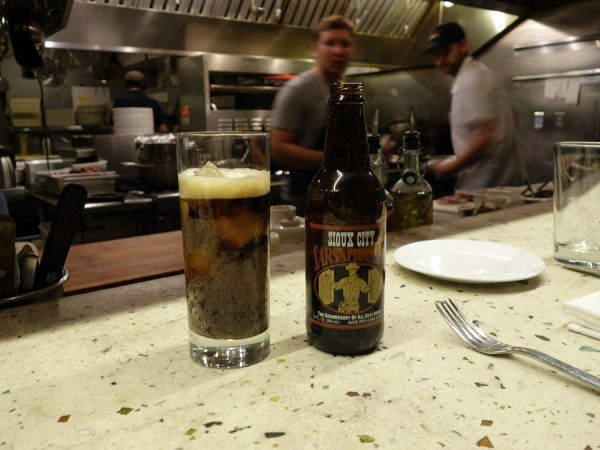 After a rest at the hotel, walk to famed Iron Chef Michael Symon’s Lola for lunch. 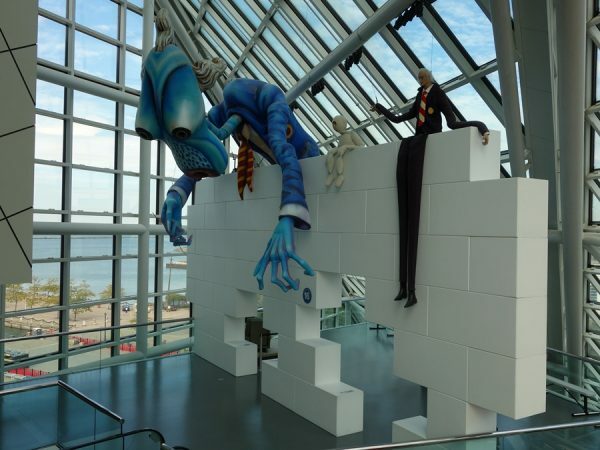 An afternoon at the Rock and Roll Hall of Fame and Museum (where there’s a thrilling Rolling Stones exhibit until March 2014) will help you work up an appetite for dinner at The Greenhouse Tavern. 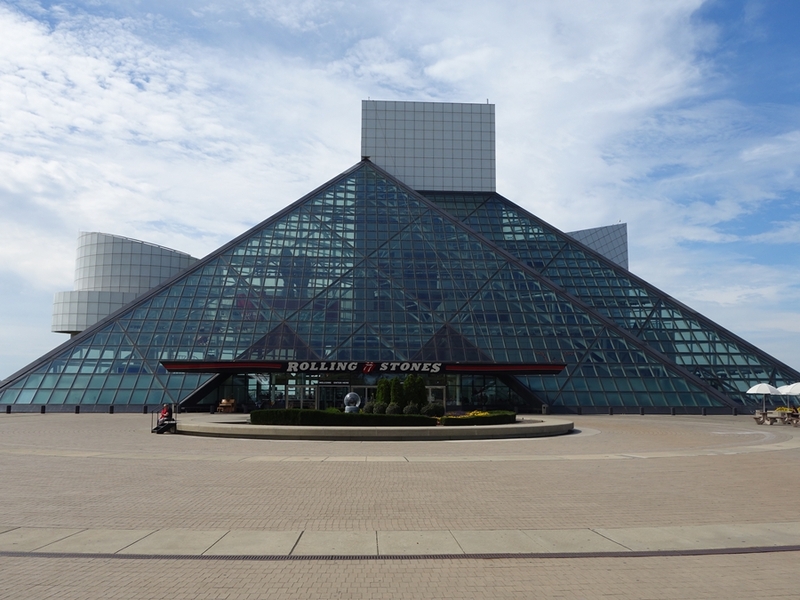 Read on for a look at my short stay in Cleveland, including my rocking and rolling restaurant recommendations. 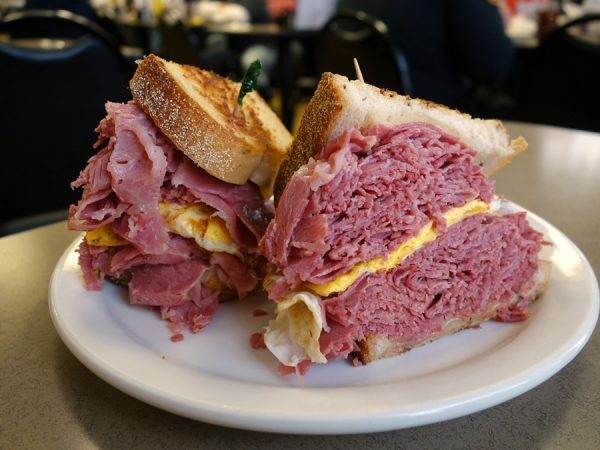 Many may go for lunch, but what better way to start a day than with an egg, cheese, and corned beef breakfast sandwich at Slyman’s? 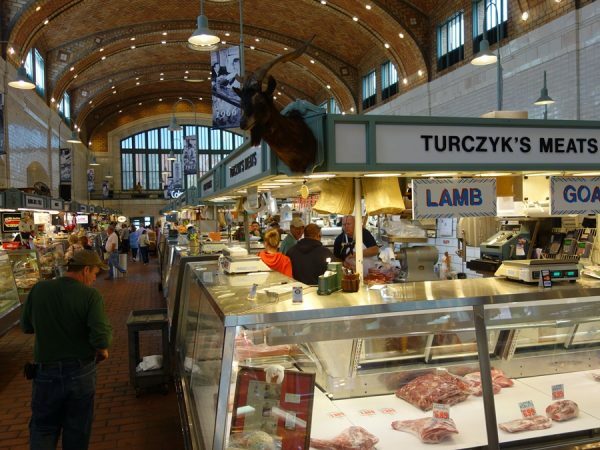 Built in 1912, the West Side Market is said to be the largest indoor/outdoor market in the country. 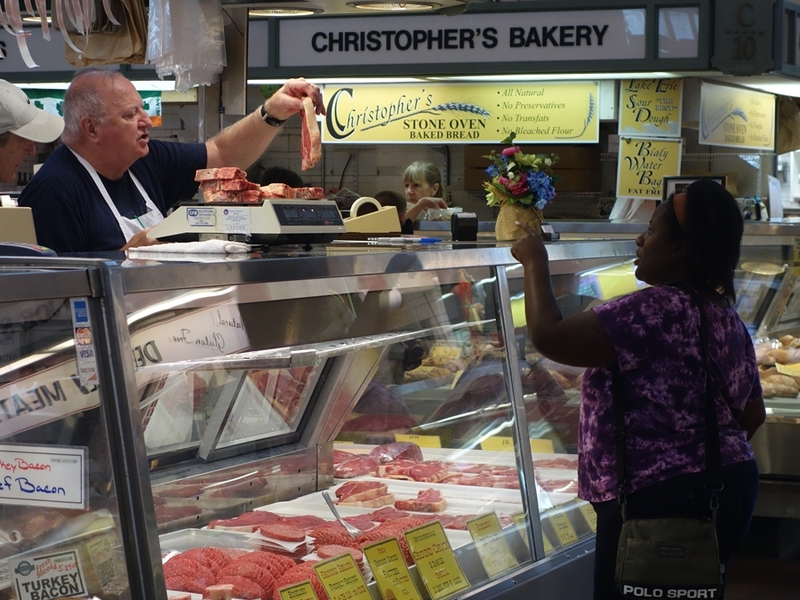 A customer buying meat at the West Side Market. There’s lots of produce on display at the West Side Market (with some competitive vendors!). 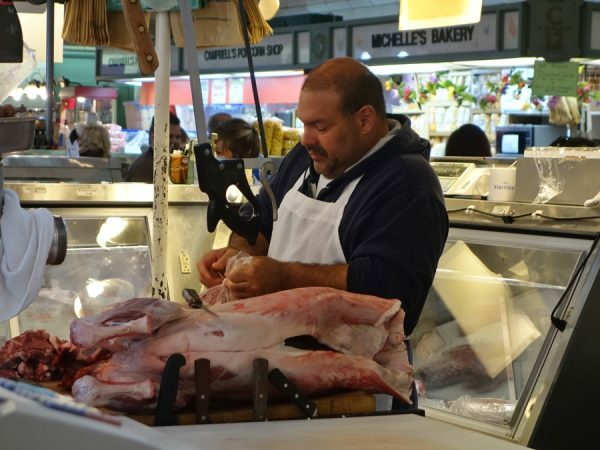 You can watch butchering at the Market. 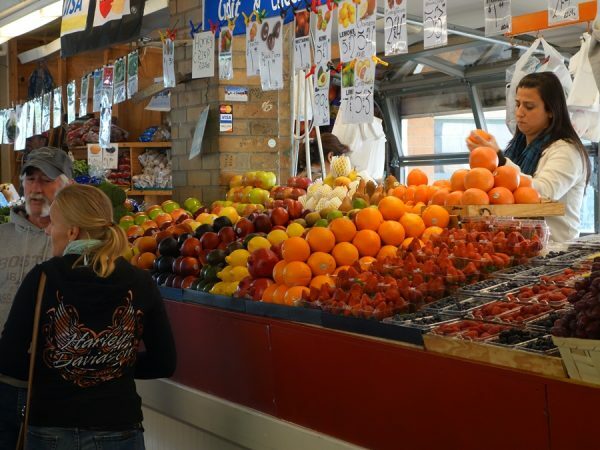 As this is where turn-of-the-century immigrants found their native foods and spices, West Side Market offers a great diversity of food. 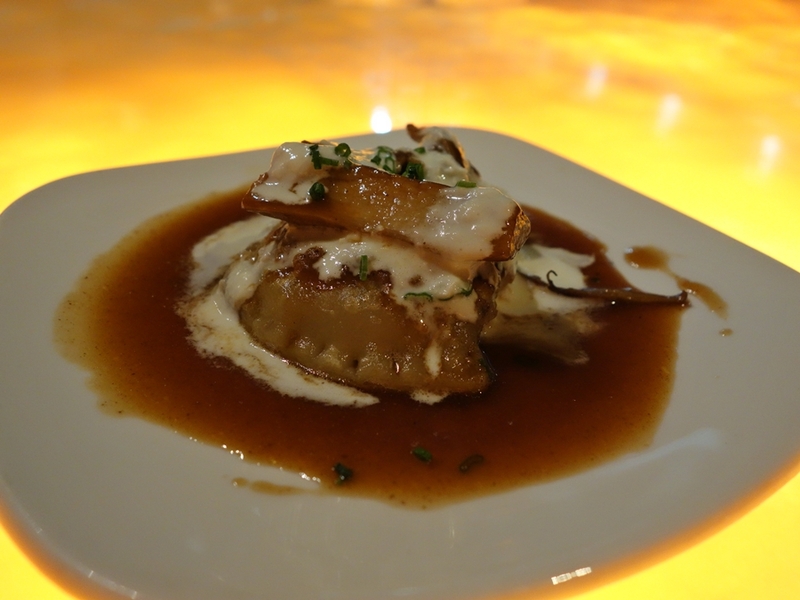 I enjoyed these beef cheek pierogies with horseradish and mushrooms at Michael Symon’s Lola Bistro. 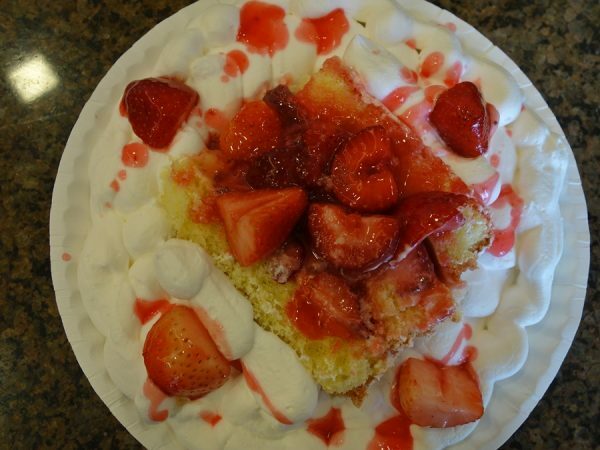 Symon uses locally grown and raised organic meats and produce, putting Midwestern twists on some classic dishes. 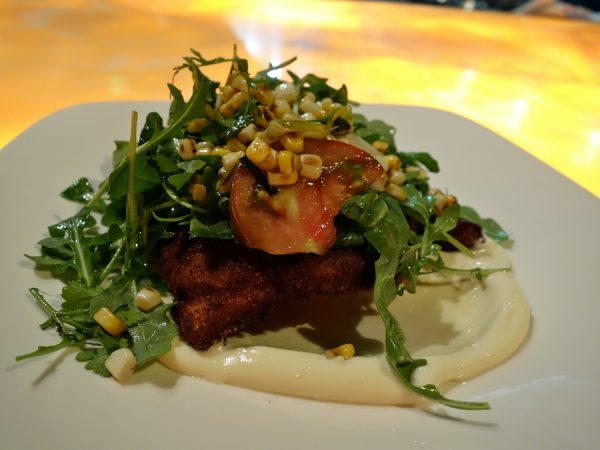 Here’s Lola’s pork schnitzel with heirloom tomato, roasted corn, scallion, arugula, and smoked garlic aioli. 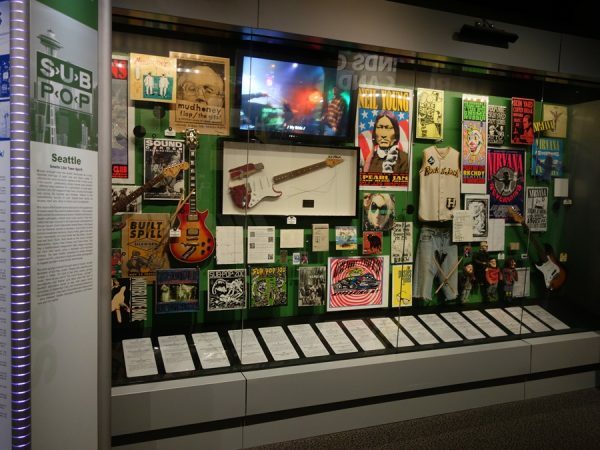 My approach to the Rock and Roll Hall of Fame and Museum. The museum has some dramatic exhibits and fabulous listening/viewing opportunities. Seattle on exhibit at the Rock and Roll Hall of Fame and Museum. A look inside The Greenhouse Tavern, the first Green Restaurant Association Certified Green restaurant in Ohio. Everything in it is made of recycled and repurposed materials. 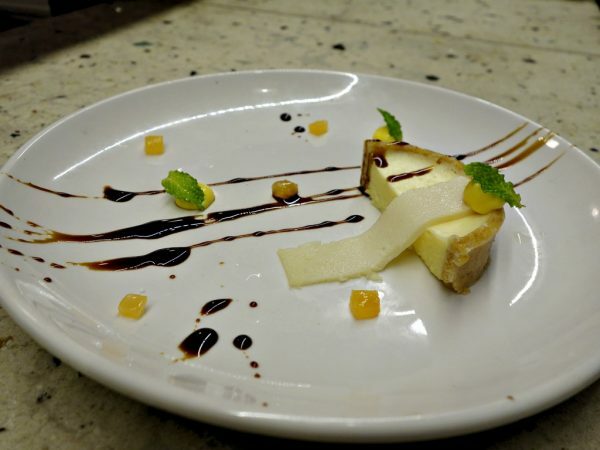 My meal, though, would be downstairs at the chef’s counter. 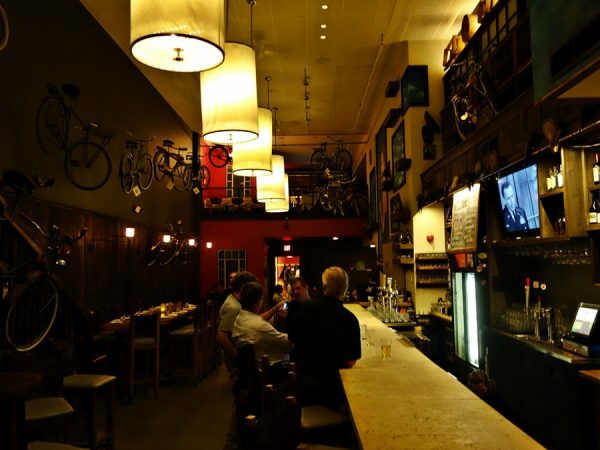 The Greenhouse Tavern has an amazing array of beverages, from interesting beer to Intelligentsia coffee to aged pu-erh tea. I opted for some Sioux City Sarsaparilla. Here’s part of the view from the counter. It’s truly the kitchen, and I felt honored that The Greenhouse Tavern invited me in for the experience. Baby chanterelle buttons with cognac ‘n cream johnny cake, beef tendon, and oregano. 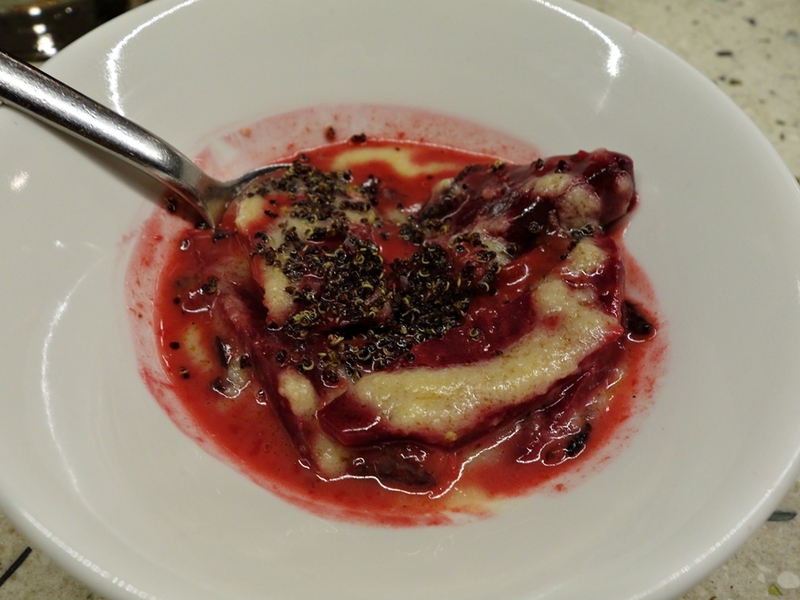 A great start to the meal at The Greenhouse Tavern, very garlic-forward, with the tendon just melted into the sauce. 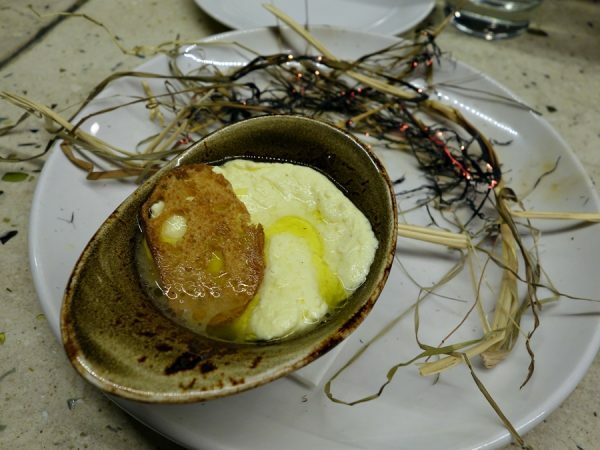 Hay-scented poached egg “omelet” with foie gras and blue label Trentino olive oil. Subtly earthy and delicious. Chef’s garden beets with bbq smoked apple, crispy red grain (quinoa), and fermented black & vanilla beans. This was one of my favorite dishes of the dinner. My notes: smoky, fermented, flavorful. 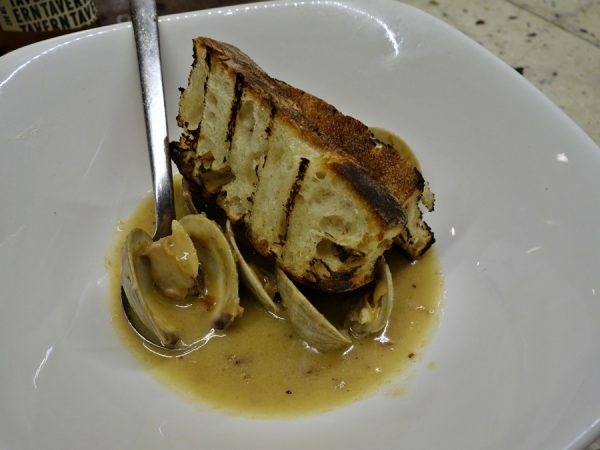 Foie gras steamed clams with butter, red onion brulee, late harvest Viognier vinegar, and grilled bread. 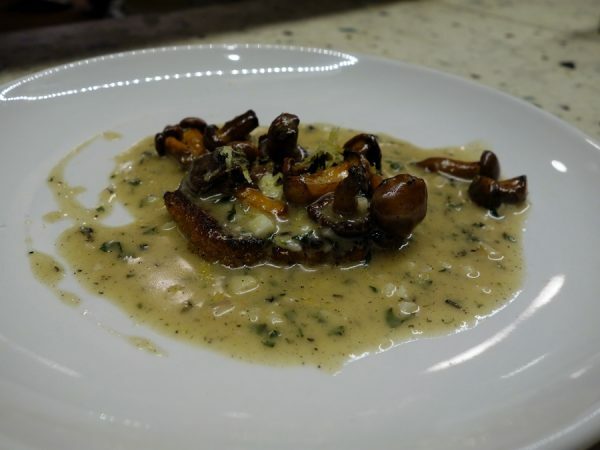 This rich dish is one of the signature items on the menu. 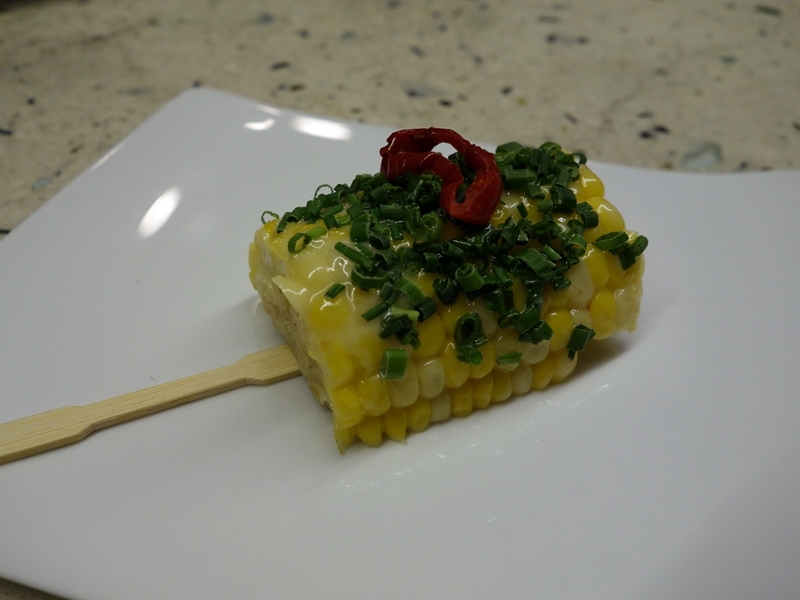 Kettle corn braised Ohio corn with smoked butter fonduta, hot Hungarian chili, and cilantro. Just a sample, as corn was right in season. 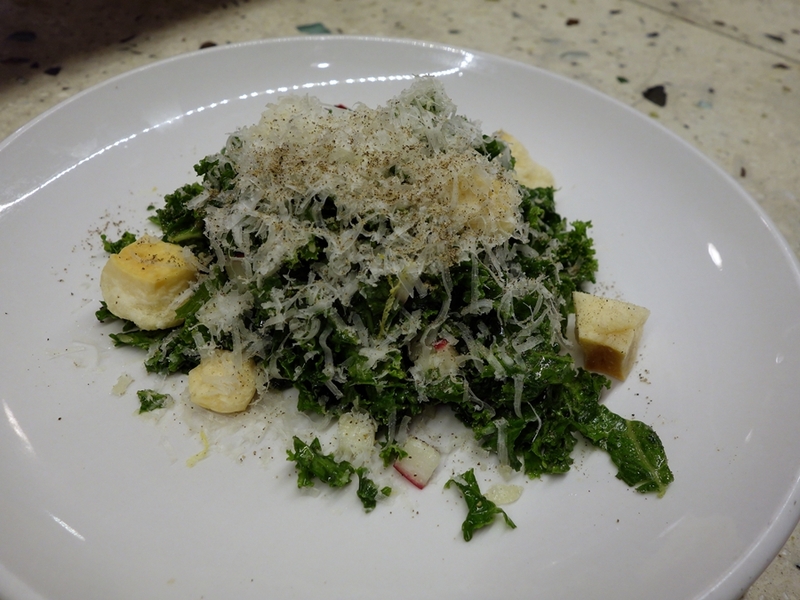 Cacio e peppe kale salad with crunchy kale, radish, black pepper, pecorino, and fat boy croutons. With lots of meat to follow, I ate this up ravenously. 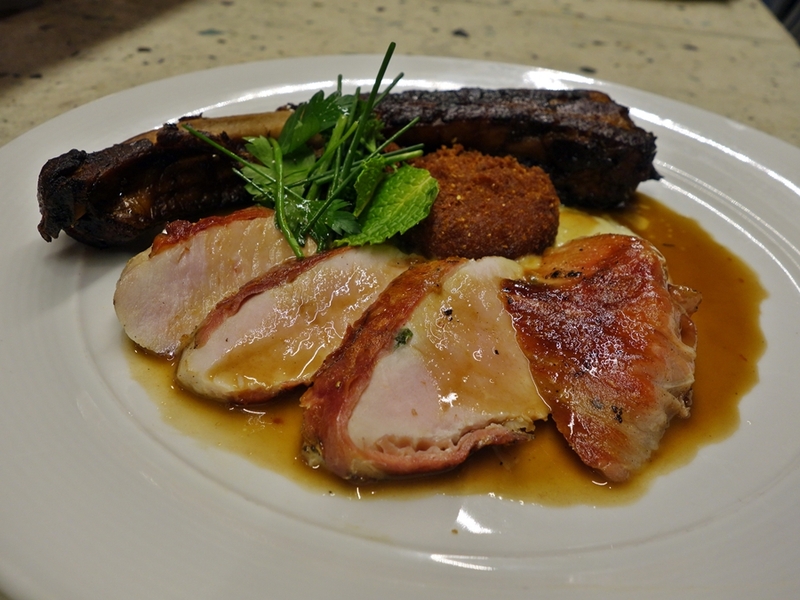 Pan-fried pork chop saltimbocca with sage, country ham, pomme pureee, scrapple, and red eye gravy. 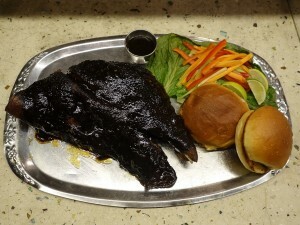 I especially enjoyed the pork belly on the rib. Roasted pig head with bbq sauce, raw vegetable salad, brioche bun, lime, and lettuce cup. I ate more of this than expected after all of the other food. BBQ sauce was slightly sweet, differentiating this from the pig head I enjoyed at Radiator Whiskey in Seattle. Rittman sweet melon pie with corn flake crumb and sweet soy from the “Modern” part of the dessert menu. 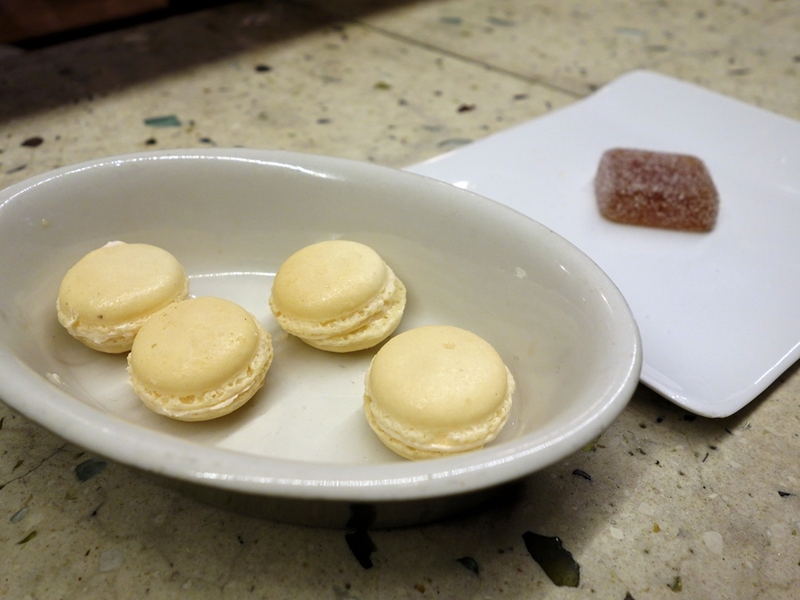 Mignardises, because it simply wasn’t enough food! The view outside my door at the Hyatt Regency Cleveland at The Arcade, said to be the first indoor shopping “mall” in the United States. As much as I loved my meal at The Greenhouse Tavern, Jonathon Sawyer’s Noodlecat disappointed me. The menu has ten noodle dishes, including a few ramen bowls (some non-traditional). 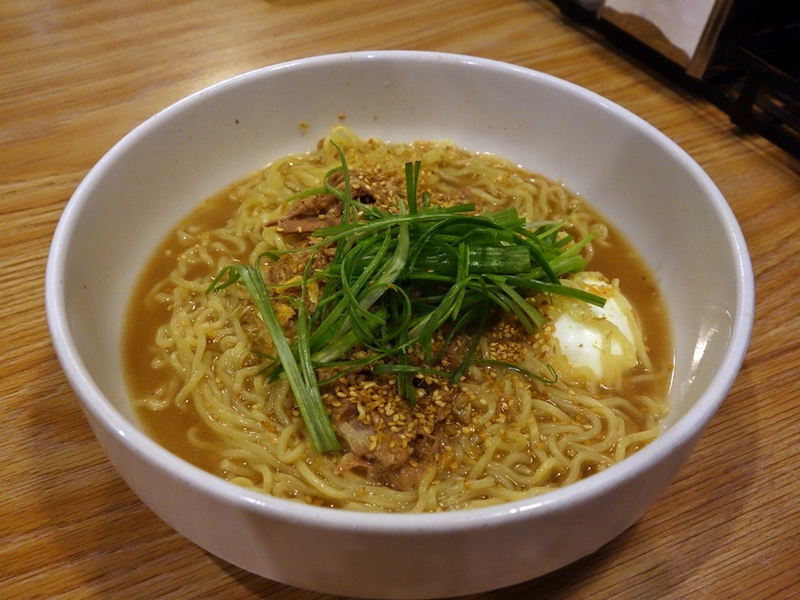 This pork miso ramen suffered from weak broth (where’s the miso? ), and the “pulled pork” wasn’t my favorite cut, disconcerting to get in broth slurps. 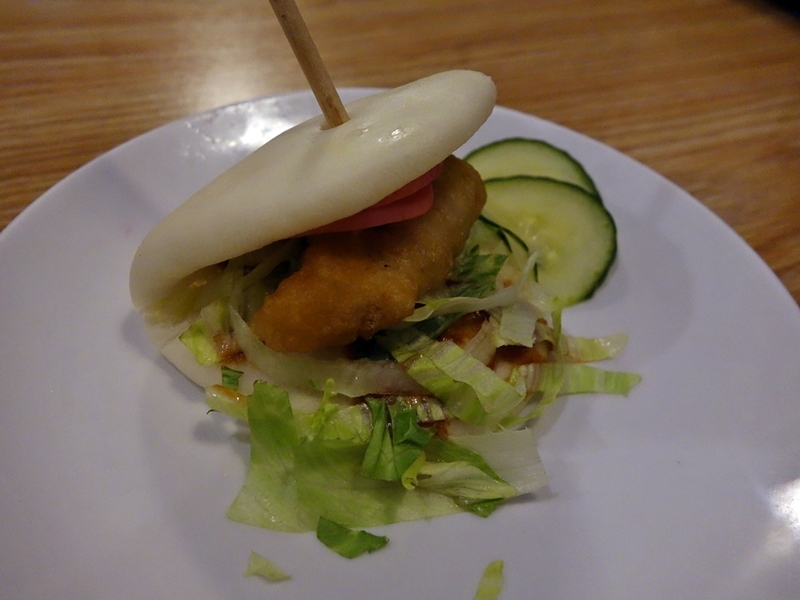 Noodlecat also sells steamed buns, like this tempura perch version. Unfortunately, it was too moist and slightly mushy. I drove to Corbo’s Bakery in Little Italy to try the famed Cassata cake. 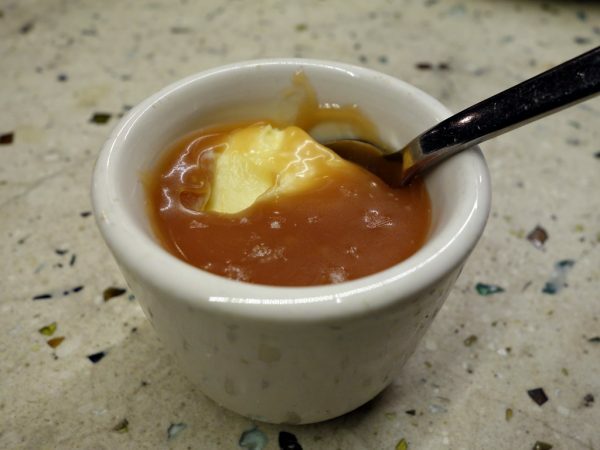 (Mario Batali proclaimed it his favorite version.) Strange experience, as the worker tried to stylize a piece for my photograph, pulling apart a whole cake and then decorating a slice with too much whipped cream. 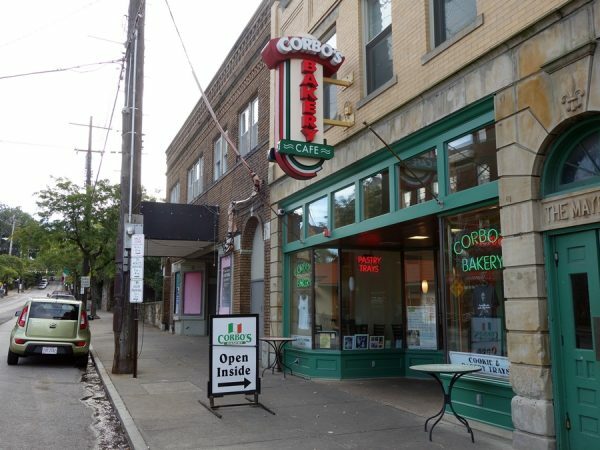 Outside of Corbo’s in Little Italy.